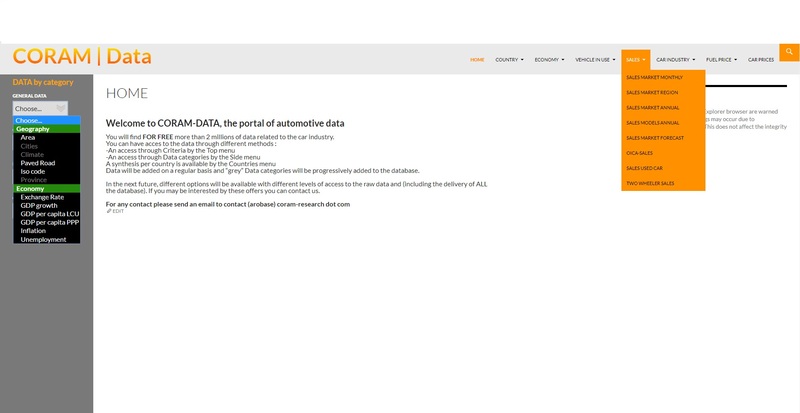 CORAM-DATA is an automotive database related to the car industry in almost 200 countries. geography : area, road, climate,…. The CORAM-DATA base is available on a subscription basis.